Krish-d-CSE©: Make posts on blogger tabs (or) pages. 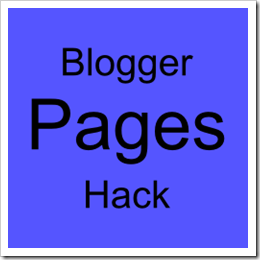 Make posts on blogger tabs (or) pages. Viewer : Is that really possible? Viewer : Then what are you going to say in this article? Author : It is not merely posting on pages. Small trick with HTML and Blogger Labels. Viewer : I don't think this is gonna workout! Am Curious to read more! First of all, just categorize each post, with the help of labels. Delete the pages gadget from the layout section. Copy the following code and paste it in the HTML gadget. In this code, change 'URL' with the link of a label (say Krish-d-CSE) and change the page name to the labels name (Say KDC). Save it and drag the saved widget such that it occupies the place of pages gadget. Save arrangement. You would get posts under each category in live page. Author : You are always Welcome! What exactly you don't understand? Me neither. This is too complicated for some of us programming and blogging illiterates. By the way; would it be the same if I don't want to create an unordered list of the labels (ul). Suppose I want an ordered list (ol), will it still look the same or would it be kinda annoying...? I am lost at step 5, where to change url ? See Previous step Rahul.. In the "a href" tags, replace the original URL with the text 'URL'. For a non-techie like me, a visual aide that accompanies your numbered steps would be hugely helpful. Would really appreciate if you could provide screenshots or video.